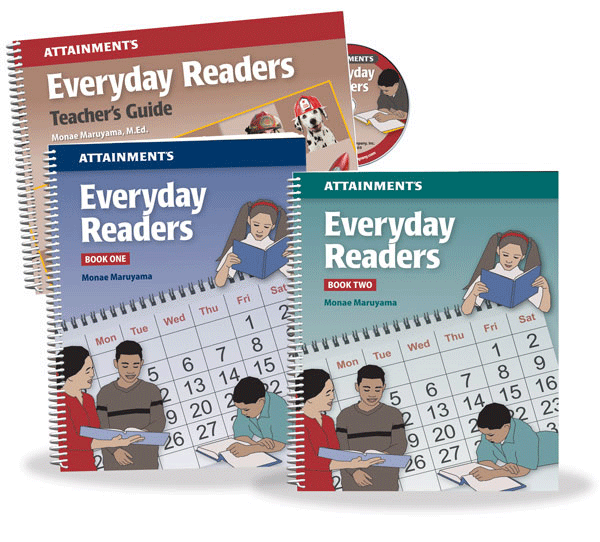 Everyday Readers is a great way for teachers to organize storytime in their classroom and present high interest topics with strong educational themes. By Monae Maruyama, an SLP and special educator, with an emphasis on autism instruction. Spiralbound books, 2015. Book 1, 143 pages, Book 2, 154 pages, and Teacher's Guide, 154 pages.